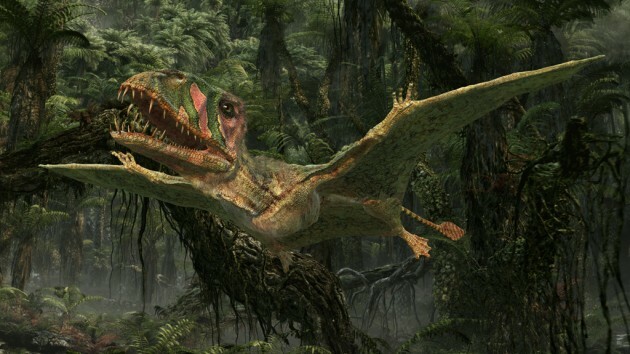 Masterfully presented by the legendary Sir David Attenborough, Atlantic Productions have successfully recreated the time when dinosaurs walked the Earth and monsters ruled the skies in FLYING MONSTERS 3D which is now showing at IMAX. Flying monsters focuses on the pterosaurs (flying lizards) and how the work done by dedicated palaeontologists have pieced together the puzzle of how dinosaurs moved from the land to the skies. This 45-minute documentary takes viewers back in-time, 220 million years to be precise where the first dinosaur took to the sky. 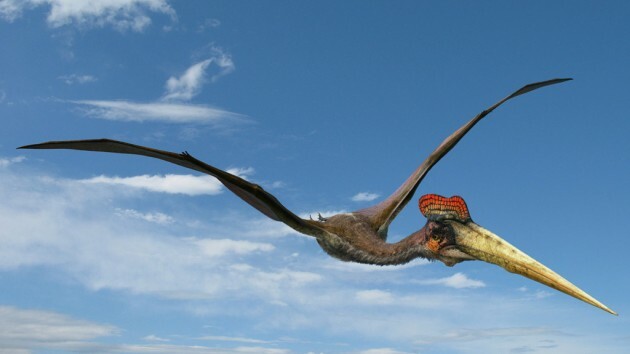 Through expert interviews, research and beautifully recreated CGI, we soon learn that the first dinosaur to fly may have been the Dimorphodon. Thanks to a thin membrane like wing attached to its arms and legs, this enabled it to glide from tree to tree. 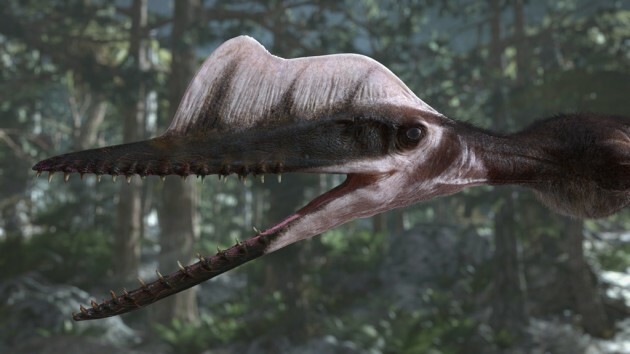 From there, the documentary moves onto the Darwinopterus, the Tapejara and the powerful Quetzalcoatlus that had a wingspan of 40 feet and would have stood eye to eye with a giraffe. 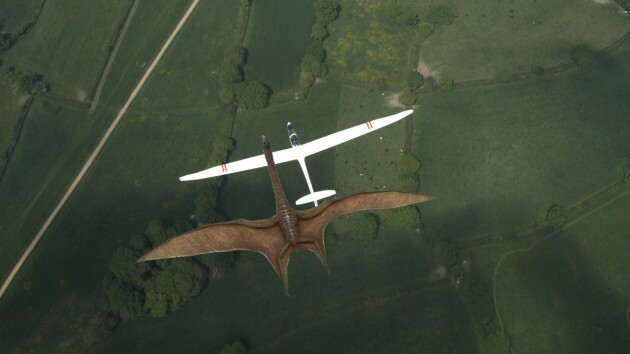 It is also believed that Quetzalcoatlus was the largest animal on Earth to ever fly and professionals believe that this giant creature could have flown 10,000 miles in one flight by gliding on the airstreams like a modern-day glider. What I did enjoy about this documentary is that it keeps the information at a basic level that is quite easy to understand. It is also history lesson of the birth of palaeontology such as explaining the history behind Britain's most famed palaeontologists, Mary Anning who was dubbed the princess of palaeontology. I also enjoyed how the computer images sometimes interacted with both Attenborough and his interviewees which made Flying Monsters a true interactive experience, especially with the inclusion of 3D. The documentary even goes into some detail of the successors to the pterosaurs, birds and that through evolution, they managed to evolve without the need to anchor their wings to their legs. In turn, this allowed birds greater freedom, especially when they were on the land which allowed them to walk and run which pterosaurs would have had great difficulty in this feat. 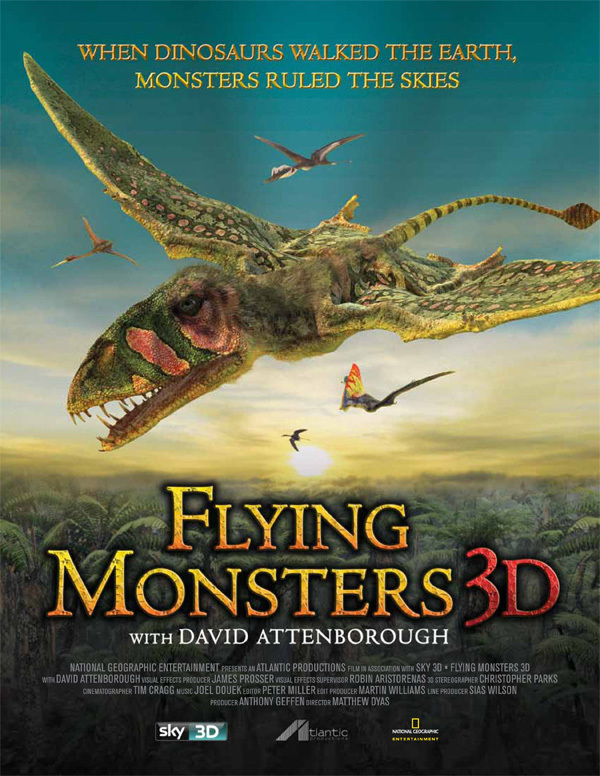 Flying Monsters 3D is not only an informative documentary but a very enjoyable one that can be watched by children of all ages, whether 7 or 70. Attenborough truly enhances the presentation, especially with his interaction with some of the pterosaurs that almost makes it quite comical at times. Thankfully the information is kept at a minimum, although there is enough theories to give you a good snapshot. It's definitely a fun documentary that is not only well made but looks fantastic on 3D.